Can you use the Customer Portal as your main website? 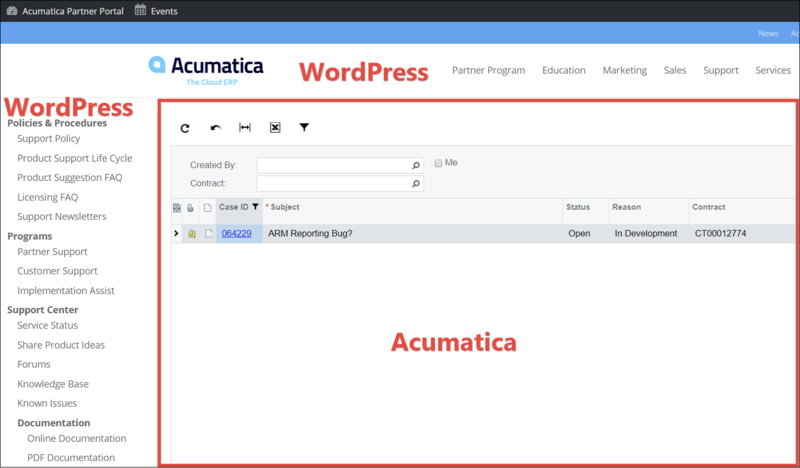 We are looking at developing a website, and integrating it with Acumatica. However, is it possible to build on top of the Customer Portal so that it can be used as your main website? It has already got all the integration to Acumatica done. From a visual side though, the Portal would look pretty terrible as your main website... I would be glad of peoples thoughts as to this. Third option: could you build a website, and whenever someone wants to do something that relies on integration with Acumatica (placing an order etc. ), the website sends them to the Customer Portal. Is that a possibility? I agree that using the Customer Portal for your main website would be a bad idea. It's too rigid in my opinion. It's a system, not a website. If it's an eCommerce website, you could use something like Magento and then use the Magento integration with Acumatica.